Washington, DC – Military veterans are more likely to contract ALS, amyotrophic lateral sclerosis (aka “Lou Gehrig’s disease”) than the rest of the population, regardless of when they served in uniform, according to a new report released today by The ALS Association at a hearing of the Senate Appropriations Subcommittee on Labor, HHS, and Education. The report states that men and women with any history of military service in the last century are at a nearly 60% greater risk of ALS than men and women who did not serve in the military. 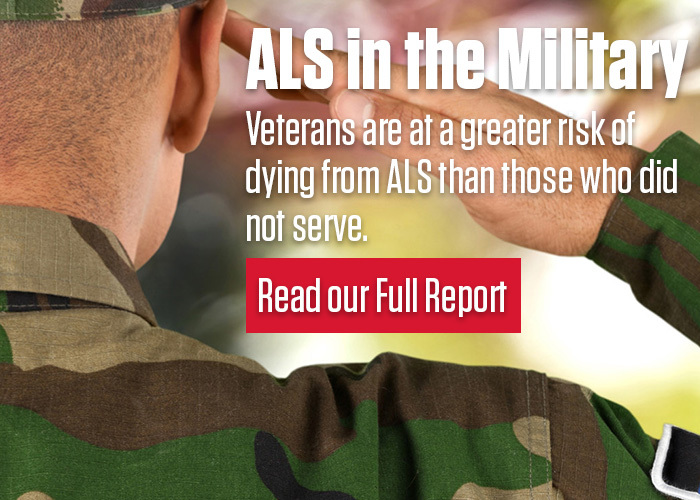 None of the studies analyzed provides any answers to why those in military service are at such a great risk of developing ALS. This lack of answers only highlights the need for more research into the military-ALS relationship and into the disease itself. “Despite the limited answers available, there is very little question that there is a link between military service and ALS,” said Gibson. Kate Linder and David Cone speak before the Senate Appropriations Subcommittee on Labor, HHS, and Education. The release of the report coincides with the appearance before the Senate Appropriations Subcommittee on Labor, HHS, and Education by ALS Association officials and advocates on the state of the disease, research and treatment. 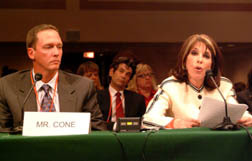 The hearing features a number of speakers, including “The Young and the Restless” star Kate Linder, and baseball greats Tommy John and David Cone. 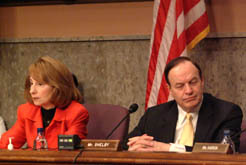 The hearing is but one event in The ALS Association’s 2005 National ALS Advocacy Day and Public Policy Conference. The Conference was kicked off with a Candlelight Vigil at the Jefferson Memorial the night before. Actor Alan Rosenberg emceed the event, which featured author and Lou Gehrig biographer Jonathan Eig, writer Amy Phillips, and 12 year-old Jason Metcalfe, all of whom delivered moving and inspirational speeches about ALS and the need to find a cure. 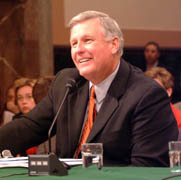 Baseball great Tommy John advocates for ALS . ALS is a progressive neurodegenerative disease that attacks nerve cells and pathways in the brain and spinal cord, ultimately resulting in a loss of voluntary muscle control, paralysis and death. The average life expectancy for people with ALS is two to five years from the time of diagnosis and there is no known cause, cure or means of prevention for the disease.